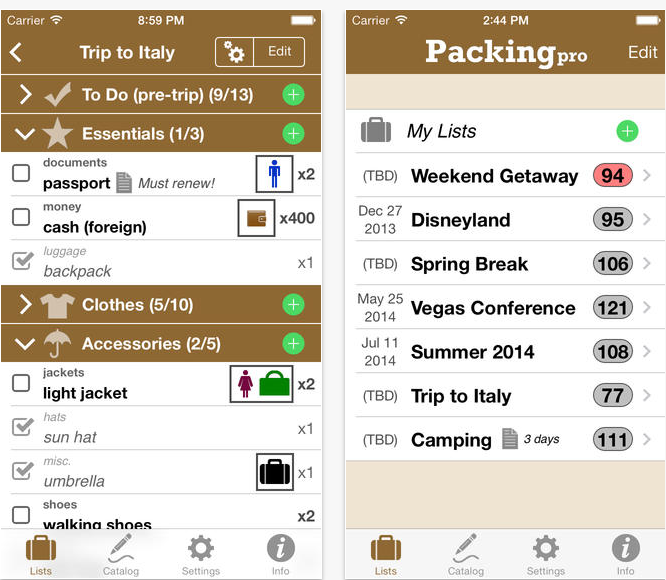 Packing Pro App Review – App Of The Month December 2013! There’s nothing worse than arriving in a state of excitement at your destination only to realise that you’ve remembered your self-stirring travel mug, but forgotten essentials like your pants and your phone charger. The solution? Packing Pro! This clever little app costs a mere £1.99 and saves you a fortune in forgotten things and an even bigger fortune in stress and inconvenience. That’s why we have voted it App Of The Month for December 2013. What does Packing Pro do? As a super-enhanced version of the top-ranking packing app on the market, this essential travel friend packs a punch when it comes to organisation. It “automagically” creates lists based on the number of adults (males and females), children and days, as well as considering variables such as the destination, the distance, and your personal travel preferences. Completely unlimited list-making: make as many as your heart desires! As well as being amazingly helpful, this app is also amazingly handsome and is fully customisable to your specifications. You can access common items and select from hundreds of items, as well as a pre-departure to do list with multiple tasks you may well not have accounted for. This app is fully compatible with iCloud and can also be imported and exported with ease to make sure you’re covered across all of your devices. 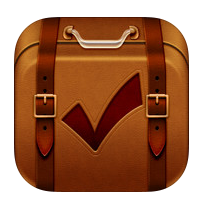 Although yet to be reviewed on the App Store, Packing Pro has been featured in Apple’s “10 Essentials” (a huge achievement), “Travelling Home” and has even caught the eye of Apple’s employees, making into the “Staff Favourites” category. Therecapp.com gave it an impressive 4 out of 5 stars, and CNN travel thought it was one of the best new apps for travellers. Whether you’re off for a day, a week, a month or a lifetime, we would definitely recommend giving Packing Pro a go. Happy jet setting! This entry was posted in Travel Advice, travel apps on December 27, 2013 by worldwideinsure.